We all know at least one person who has been talking nonstop about what they would do if they had the lucky ticket that won the $656 million lottery. The jackpot is a record topper that has had every American excited all week. As of last night, there are at least 3 Americans who are still excited. Out of the one and a half billion $1 lottery tickets purchased in the last week, 3 people have winning tickets. Those tickets were purchases in Maryland, Illinois, and Kansas. The tickets were bought at a 7-Eleven, a Motomart, and an undisclosed Kansas location. Each of the locations where the winning tickets were bought will be getting bonuses in the hundreds of thousands of dollars for selling the tickets. The winning ticket number was 2, 3, 23, 38, 46, and a Mega Mall of 23. The winners will have the option of taking all of their money in one payment or taking it in 26 annual installments. 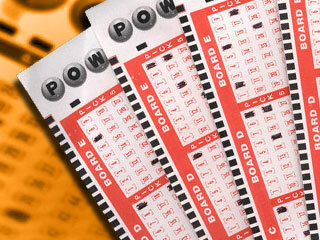 Each ticket is worth $213 million before taxes. If one of the winners chooses to take all the money is one payment, they would get approximately $105.1 million. With the three winners announced, one can only imagine the thoughts and excitement running through the minds of those lucky 3.